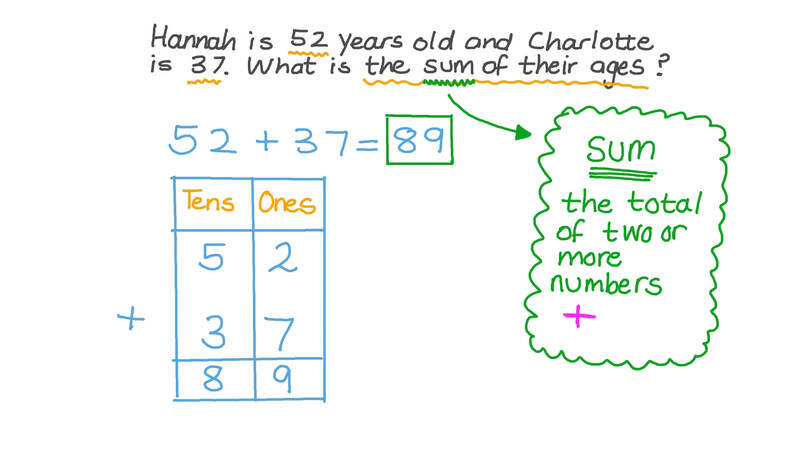 In this lesson, we will learn how to determine the appropriate type of mathematical operation, either addition or subtraction, to solve word problems. A farmer plants 200 orange trees and 300 mango trees. 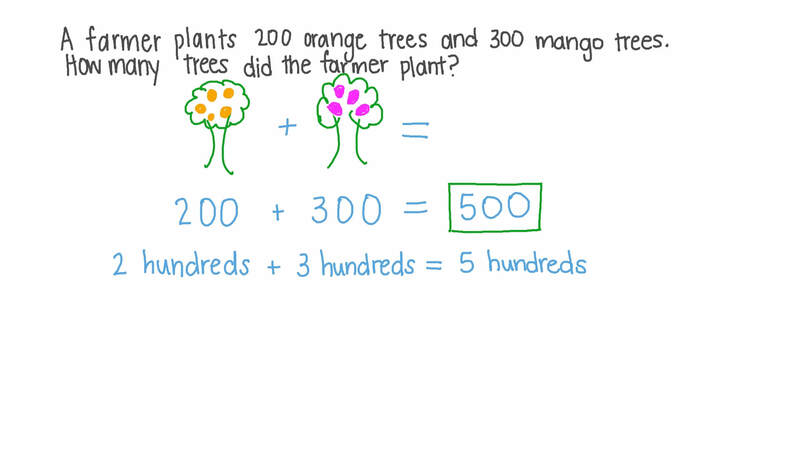 How many trees did the farmer plant? Rania is 52 years old and Sally is 37. What is the sum of their ages? A builder bought two pieces of land. One had an area of 456 feddans, and the other had an area of 154 feddans. Find the total area of land bought. If a student bought a ruler for 425 piastres and a pen for 375 piastres, how much did he pay? A girl has 450 piastres. If her father gives her 175 piastres, how much money will she have? 12 dogs were in a pet show. There were 17 pets in total at the show. 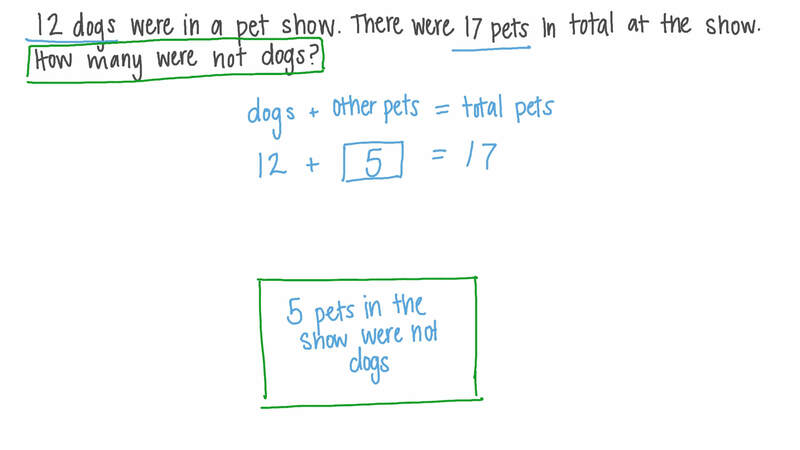 How many were not dogs? There are 89 pupils in a classroom. 59 are boys. How many are girls? There are 32 sheep in one field, and 37 sheep in another field. How many sheep are there in both fields? Nabil had $43. He gave his brother $36. How much money does Nabil have left? Yara collected 31 shells from the beach yesterday. She gave 7 of them to her friend. How many shells does she have left? There are 98 pupils in a classroom. 65 are boys. How many are girls?